The Mutants film clip was completed by Sidekick films and myself. I worked more on the design and animation while Sidekick worked on the edit and green screen compositing. Working on this film clip was definitely the most challenging project I have done to date, this project was started around March/April 2014 and finished around September 2015, way too long but life and the EP release got in the way. I've learnt a heap through doing it and I basically just wanted a place to show how silly I was for future Conlan to shake his head at. Through the mutants verses, I tried to quite explicitly paint a scene of a dystopian, post-GMO future in which all kinds of organisms have been modified to the point of mutation. The lyrics can be found here. 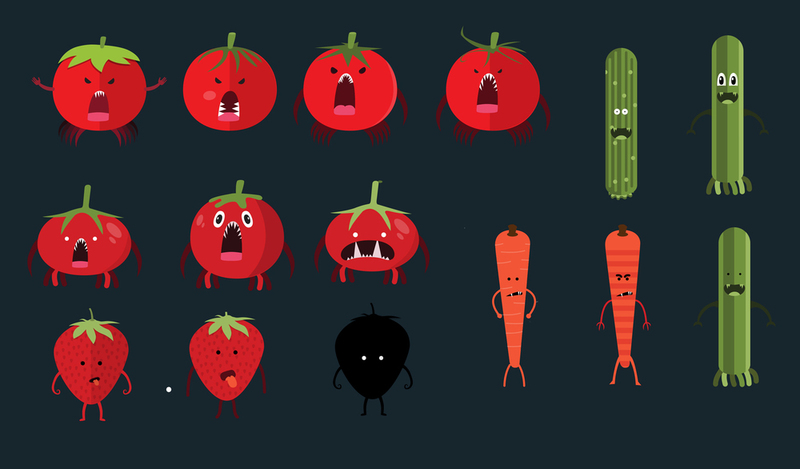 This naturally led to some descriptions of quite crazy pieces of fruit and vegetables which was perfect for animated characters. The production of the track uses quite dusty vinyl samples, where you can feel the warmth and character in the sound. We thought that archive footage has a very similar warmth and texture. 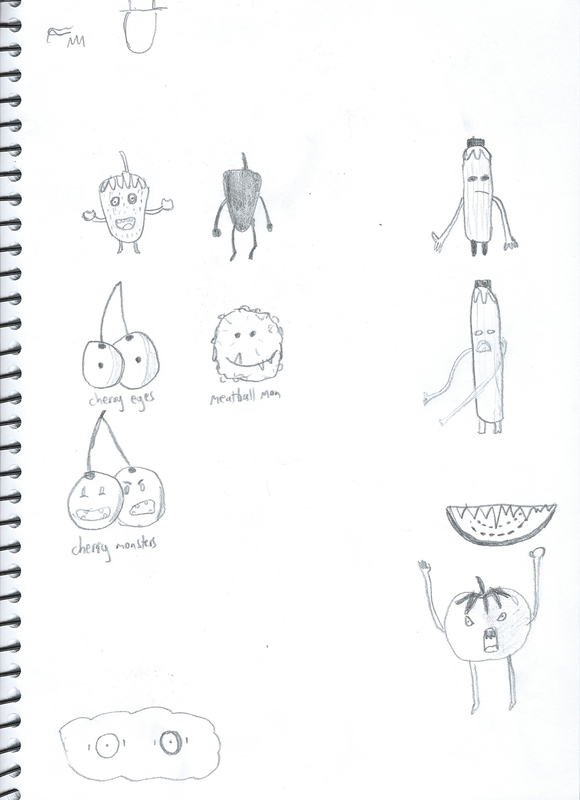 So we would fuse friendly, mutant fruit and vegetables into a 1930-50s archive footage world. The mutants would at first be in the shadows, hidden from the world before coming out into the open in full bright, glowing colour. We all brainstormed ideas once we knew the type of footage we had. The storyboard sketches were kept very loose in post-it note form. 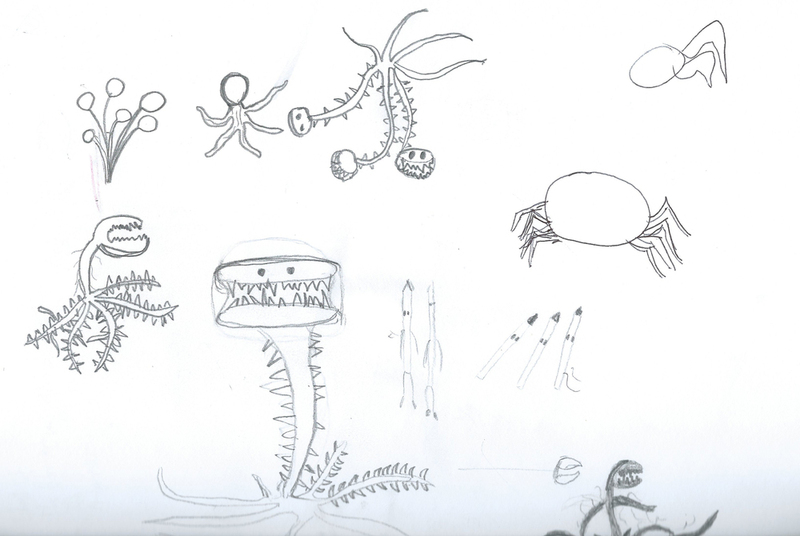 The design of the characters needed to be friendly, bright (to contrast the background) and mutated. A huge library of reference for characters was built as we started to work out what they should be. I played around with lots of different characters, some made it, some never really had a place within the footage. The glowing eyes would end up being the piece that ties them all together. Bethany Young, James Birrell and I sorted through mountains of footage to find cool clips that had enough space to comp characters in. Here's an early version of the story that we crafted. From there it was just a matter of cutting until we had a really engaging, concise story. 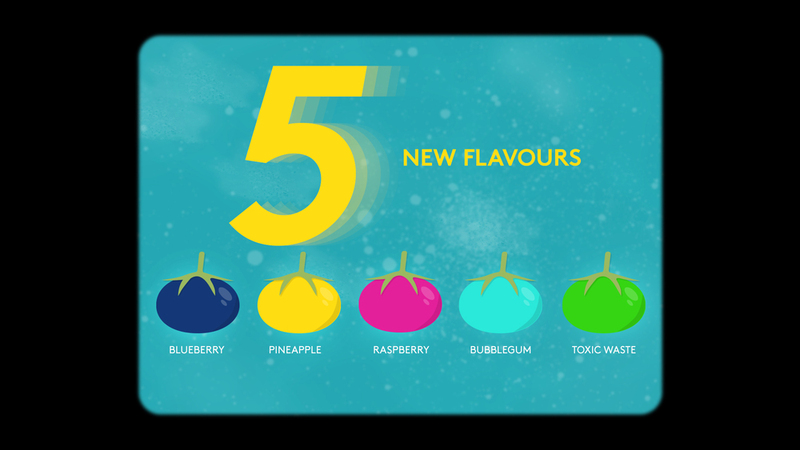 We wanted the clip to feel like it was basically a news report of the chaos unfolding, so to break up the clip we decided to put an ad for the company causing all the chaos, Mutanto, advertising their new breed of radioactive fruit. Final disclaimer on the ad reads: Take only as prescribed, not recommended as part of your daily dietary intake or part of a healthy diet. May contain traces of RoundDown and other weed killers, pesticides, fungicides or herbicides. Side effects include whiteglowing eyes, tendency to eat humans, limbs ceasing to exist, sprouting of new limbs, slight radioactive emissions, tendency to forget people's names and tiredness. If problems persist contact your local health professional or call the hotline on: 1800 - MY - FACE - IS - PEELING - OFF." For the animation I would use reference of creatures that had similar forms and film some wherever relevant (like pixar). I would block in all the main key frames with hold keyframes, to get the overall timing of each shot, making sure the poses were as strong as I could get them. Then swap the keyframes to bezier and tweaking until it started to feel smooth. Having the animation feel embedded in the clips with different camera wobbles, frame rates and cameras was challenging. The archive footage inherently has heaps of grain, dirt and camera shakes, so I used those as reference and tried to push it further. The final composite has a moving paper texture, a wall texture, grain, noise and some light photoshop brush finishes on a couple of the scenes. The title for mutants needed to allude to what was going to happen later on so I experimented a lot with different mutations it could do. I still don't think my laptop has recovered. Throughout the project I tried many different ways to try and keep on track, putting all my tasks in wunderlist (200 tasks! Eww), pinboard with sticky notes, no planning, working on it every morning, setting mini deadlines but none of these worked as I still needed to finish all the EP artwork and get that released so I found the one solution that worked for me on projects like this, with no deadline, is a huge Evernote list with all my tasks but I can only ever look at 5 at a time. That way there's always 5 to choose from and it's not overwhelming. It was only when I started doing this did I actually start making progress. Through this piece I feel like I've learnt more about animation than any project I've done. It was a great chance to gain a greater understanding of the basic animation principles and begin to realise the genius of the great animators, it is a completely different game to motion graphics. It was also fun designing the whole piece and being forced to trust your instinct on where the direction is going. Hope you enjoyed the clip!